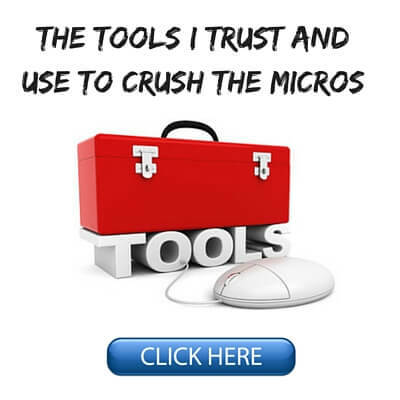 Moving up the limits in today's micro stakes online cash games can sometimes be a daunting task. You will see new faces, more skilled opponents and bigger pots. It can therefore be a bit of an unnerving experience for some. However, if you know what to expect before making the move, it can make the transition a lot easier. Last time I wrote a guide on the differences between NL2 and NL5. It proved to be a fairly popular article so this week I am going to cover what you can expect when you make the move from NL5 to NL10. NL5 (2c/5c blinds) is typically the 2nd lowest limit cash game that you can play online and it usually has a $5 max buyin (100 big blinds). NL10 (5c/10c blinds) is typically the 3rd rung on the ladder in online poker cash games with a $10 max buyin. 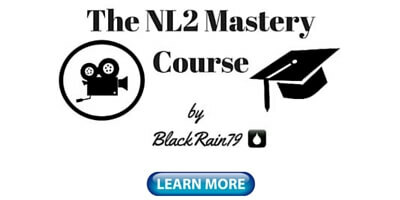 So unlike NL2, where you will encounter many complete online poker beginners, at both NL5 and NL10 you will typically find players who have "graduated" from a lower limit. Very few people will start their playing career at either of these stakes. So this means that you will find far less completely clueless fish playing 40% or more of their hands. Also, the regs at these stakes will have typically studied the game to some extent and therefore offer more than the "play tight" strategy that is the only thing that most NL2 regs know. 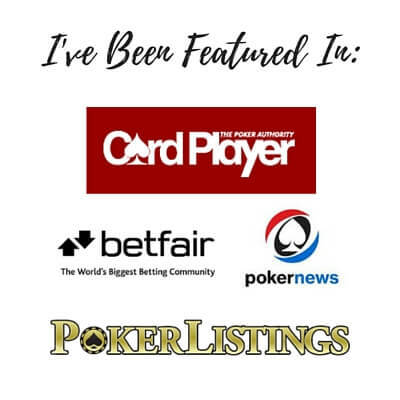 However, as I discussed in the previous article in this series there is always a relative skill difference any time you move up the stakes in online cash games. The average NL10 reg will be a better poker player than the average NL5 reg. With that said though, the relative skill difference that you will encounter between regs at NL5 and NL10 is not nearly as pronounced as it is between NL2 and NL5. The key difference though once again will be aggression. In terms of actual HUD statistics you will find more regs approaching double digits in their Preflop 3Bet%. You will also see 4Bet Ratios of 2, 3 or even 4 more often. If these numbers sound like Greek to you then you might want to go check out my comprehensive article on HUD setup and stats for more information. With regards to postflop play NL10 regs will float or raise you more often than NL5 regs. This is because they understand the power of position in poker better and how to use it. So they will flat you in position preflop with a wider array of holdings as well. Lastly, NL10 regs will barrel you more often than their NL5 counterparts. This means that if you float them, they will fire another CBet on the turn more often and sometimes even a 3rd shell on the river either as a value bet or as a bluff. 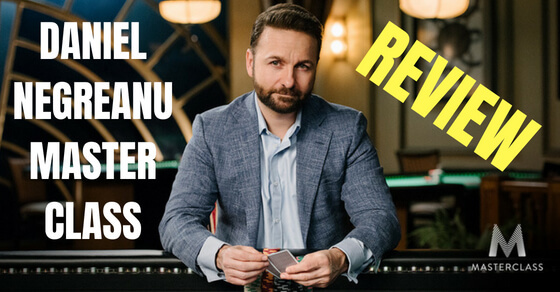 At NL10 you will encounter a lot more hyper aggressive regs who will be constantly trying to push you out of the pot at every stage of the hand. The answer to this (just like versus a maniac fish) is to simply call with a wider range and let them hang themselves. It is important to note though that regs are not fish and just because they are betting and raising like crazy against you in every hand does not necessarily mean that they are bluffing you every time. This is why it will be imperative once again that you wait until you have played a few sessions and built up some reasonable HUD data on the regs before making any big adjustments to them. There are still going to be many tight regs at NL10 who will have the nuts or close to it a lot of the time when they bet. You don't want to make the mistake of calling them down light. This is why it is important to collect a couple hundred hands on a reg before making a firm decision about what type of player they are. Once again the differences between the recreational players at NL5 and at NL10 will be small. Fish are pretty much fish at any limit. They play the game for fun and they don't try to improve. Many see it almost like bingo or something anyways. They don't understand that poker is actually a game of skill where if you improve your technical knowledge, then your results will improve as well. Therefore, the fish at either of these limits will continue to play way too many hands, play way too passively and limp a lot. The answer to this is to isolate them frequently and value bet the crap out of them. The one main difference though between these two limits is that the recreational players will be harder to find. This is because there are simply less and less of them as you move up the limits. This is why it is increasingly important that you are paying attention to table selection by the time you reach NL10. Despite what the naysayers will tell you it is very possible to find 40%+ VPIP goofballs still at this stake. 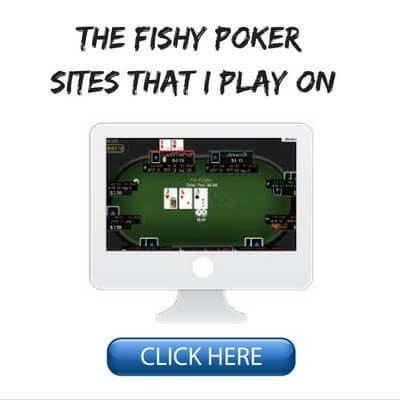 You will have to bounce around tables a lot more though, learn to play short-handed and even poker site select. If you choose to sit down at random tables or grind reg infested Zoom games then you will rarely encounter these types of players at NL10 and even at NL5 for that matter. So as expected when you are facing better skilled opponents and less recreational players your winrate will go down when you move from NL5 to NL10. The drop will not be as pronounced as between NL2 and NL5 though because the relative skill difference is not as big. However, you should definitely expect to see your winrate decrease by anywhere from 25% to 50%. This means that if you are a 5bb/100 winner at NL5 then your winrate might decrease to 4bb/100 or 3bb/100 at NL10. A decrease in winrate will mean more variance. This means that you will encounter lengthier and more intense downswings. 20 buyin downswings are definitely possible even for a good player at NL10 whereas this won't happen as often at NL5. This is why it is imperative that you are practicing good bankroll management by the time you get to NL10. I would suggest having 40 buyins for this limit. This means $400 in your bankroll. All of the same rules apply when moving up to any new limit. Another key point to consider by NL10 is to avoid having the hyper aggressive reg on your left. As I mentioned before, this is one of the first stakes where you will start seeing some real aggro machines. You will also start seeing more legit LAG (loose and aggressive) regs. Many regs will also start to become more aware of when you are isolating a fish at NL10. Therefore they will correctly light 3Bet or 4Bet you back. This is why it is important by NL10 that you start paying attention not only to who is on your right but to who is on your left as well. Dealing with a hyper aggressive player, who you have little information about, and who has direct position on you, won't be a fun experience. It can also be tilt-inducing if the cards aren't falling your way. So in a situation like this it can often be a good idea to simply leave the table or rejoin in a different seat. NL10, much like NL5, is a very popular limit online and therefore there are many other tables to choose from. It is important not to let your ego get involved when you are out of position against an aggressive good reg. Even if you manage to win the battle you will still lose the war because the money does not come from players like this in poker. Moving from NL5 to NL10 is a fairly big step along your journey up the micro stakes poker ladder. You will encounter tougher players and less fish. Also, the pots will be twice as large. While the money amounts are still small to most, they aren't completely insignificant either. However, with an understanding of the differences between the regs at each limit and a carefully planned strategy for moving up (and down), there is no reason why you can't make a seamless transition to this next limit. If you are winning right now with a reasonable winrate over a decent sample at NL5, then you will without question have success at NL10 as well. Moving up in stakes is never easy though and it might take you several attempts before you succeed. This happens to everybody due to short term variance and sometimes tilt. Having to move back down for awhile is nothing to be ashamed of. Once you do finally stick at NL10 though you will adjust to the new regs and wonder what all the fuss was about in the first place. You will also be just one step away from getting to this first limit in online poker cash games where you can make some decent money which is NL25. 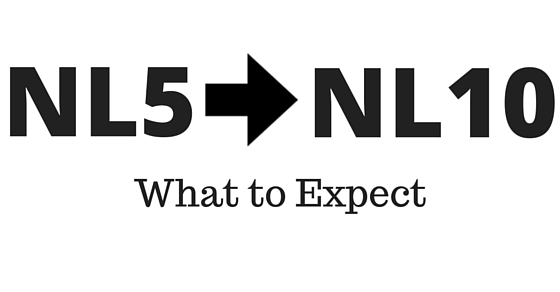 By the way, the next step in this series, my guide to moving from NL10 to NL25 is now finished. 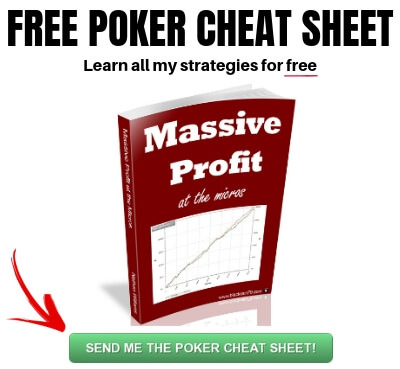 Lastly, if you want to learn the strategies that I used to crush all limits at the micros for some of the highest winrates in online poker history make sure to pick up a copy of my free ebook. Let me know in the comments below what your experience has been like in moving from NL5 to NL10. Do you have any tips for making the transition easier? very good info as usual. Are you able to add some more info about moving from NL5 to NL10 in Zoom poker ? Thank you! I don't play much Zoom poker so probably not. Unbeatable for me at this moment. Have 14 bb\100 on 5 nl. On 10nl, only 3,11!! Big drop. Agreed Nathan, after sticking to NL10 you start to wonder why did you take so long to get there. Nice set of articles, can't wait for the one about moving to NL25. For sure and thanks as always Jorge! Good job Taras. Keep trying to improve and take shots at NL25! Hi Nathan. MSS really help me to improve my game. Another 30k example shows impressive result. About 10 bb\100 10nl. I still have a leaks in the game by your suggestions! Main is fold to 3bet! Have about 80℅. A lot of bad regs have very high fold to steal and small 3bet. Cannot afford myself to call them even IP ( because vs them I have high att. to steal). Your recommendation is 60%. Trying to fix it, cost me a lot. I am feeling comfortable playing 9 table, enough time for deeper think and it's gave me result. 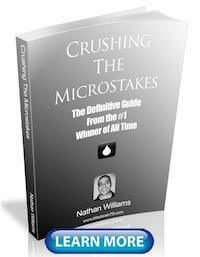 I am glad that my book helped and great results! The first thing I would say is that my suggestions in the book are just that, suggestions. A higher Fold to 3Bet% might actually be better at NL10 than at higher limits because like you said, the regs are more nitty. Since you are having a lot of success I would not worry about this right now. Just keep doing what you are doing because 10bb/100 at NL10 is excellent. I am glad that my articles are helping you! Sorry but I don't publish my actual stats all that often. First of all, thanks a lot for all your material. 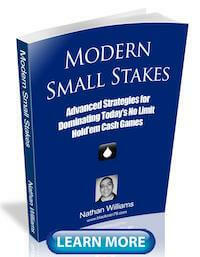 I bought your Modern Small Stakes book and I think is simply GREAT! I'm reading it for the second time now, just to go over some concepts. Anyway, I'm in crisis now. I was successfully beating 5NL for 6,81 BB/100 (7,79 All-in adj) over a 22k sample, which I know is far from large, but enough to say I'm a winning player, I believe. So with a BR of $330, I followed your advice and moved up to 10NL. I've played 10k hands so far (really small sample, I know) and I lost $86 (-$124.49 All-in adj). So, the question is (and sorry if the post is too large): I know those downswings exist, but this is the 2nd time I try to move up and the same thing happened to me. I also know you said multiple times that poker requires you to get stronger when this happens. But, given those numbers, do you believe that this could be only due to bad luck, or is there something really important that I'm failing to adjust? I am glad that my book helped! Also, good job at NL5. I think what you are experiencing so far when moving up to NL10 is indeed variance. Your winrate is definitely well above average at NL5 and while it will be a bit lower at NL10 you should clearly be a winner in that game as well. Unfortunately this is just the way that poker works sometimes though. My advice would be to study the hands from your previous attempts to see if there is anything that you are doing different or if there is tilt involved. Rebuild for awhile at NL5 and then try again at NL10 with a big emphasis on table selection and doing all the things that have brought you success at NL5.